Meet Leonard Slutsky. He’s a Consumerist reader who had one desire: to give Macy’s money. But Macy’s wouldn’t accept his online order, simply because his last name is Slutsky. 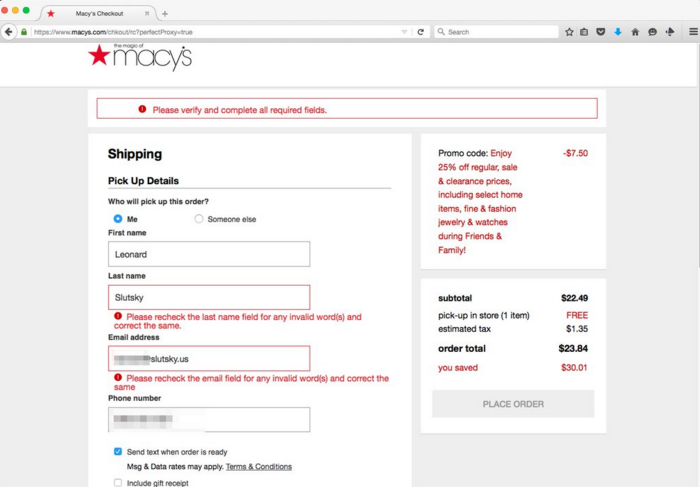 Last week, Leonard tried to give Macys.com $23.84 for something he wanted to order and pick up later, but he ran into trouble when he entered his last name in the required field for shipping. “I’m offended that @Macys thinks my last name is invalid,” Leonard Tweeted recently, including Consumerist in his message. Though a Macy’s social media rep apologized and asked him to send his email address via direct message, Leonard tells Consumerist that no one followed up with him to explain what had happened. Instead, with the system rejecting his surname, Leonard took matters into his own hands and reached out to a live chat rep who completed the order for him. Which is great for this one purchase, but that’s not something a person wants to do every time they’re ordering something online. So Leonard tried to contact Macy’s again, but had trouble reaching the company by phone, he says. Eventually, a supervisor took a report about his name-related problem, and told him he’d hear back in one to two months, “because of the technical nature of this issue.” Not exactly speedy customer service. But if that were true, wouldn’t a whole lot of people with last names ending in “tsky” also be barred from ordering things from Macys.com? 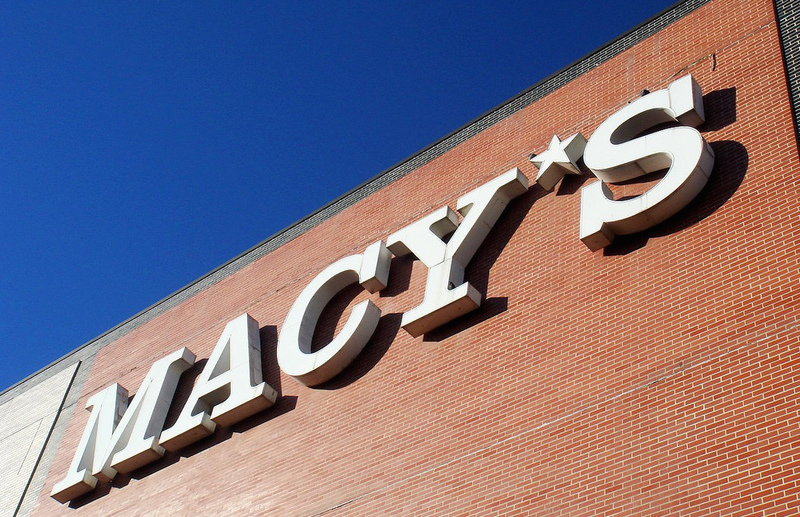 The Macy’s rep told Consumerist that he reached out to his company’s systems people, but that they are “crazy-busy right now” due to the holiday rush, and would let us know if and when he hears back from them. When Consumerist asked if the company had a profanity filter that might have flagged the name “Slutsky,” the rep didn’t reply. Leonard tells Consumerist that he gets it, these things happen, but beyond some trouble signing up for an email account, he generally doesn’t have any trouble. Has your name ever been rejected by a retailer or other online business without any apparent reason? Let us know, email us at tips@consumerist.com with the subject line, “I’M LIKE LEONARD” and tell us your story. Did this strike a chord with you? We’re a non-profit! You can get more stories like this in our twice weekly ad-free newsletter! Click here to sign up. Why Won’t Macy’s Tell Me If Password Reset Email Is Legit Or Not?